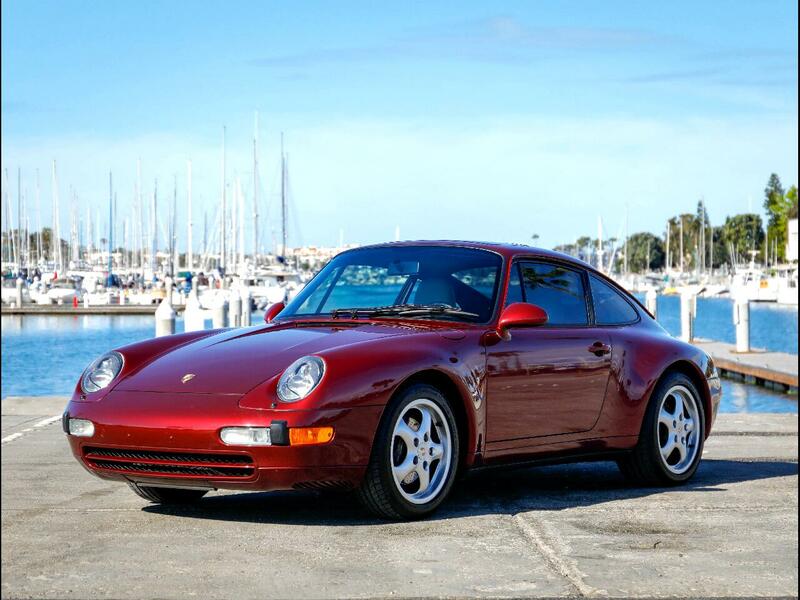 Chequered Flag International is pleased to offer this 1996 Porsche 993 Carrera Tiptronic Coupe in Arena Red Metallic with Grey and Black Interior. 64,491 miles with clean Carfax. The paint is excellent with a small touch up mark near the rear wheel arch. All stickers in place including option code sticker under the hood. No accidents, no bolts turned and all original panels. The paint around the hood meters high - safe to say it has been repainted, most likely due to rock chips. The interior is excellent overall. Driver's seat bolster shows common wear but no rips or tears, untracked dash, carpets and headliner are both excellent. Nicely optioned with: Power Seat Package, Porsche Crest on Seats, 17" Cup Wheels w Porsche Crest Caps, and Rear Window Wiper. Checkout and service being done. Comes with books, original window sticker, both keys, tools, jack, and a folder with maintenance history from 2003 to 2019. Inspections encouraged. All sales AS-IS. Sales tax and license fees due if delivered in California. Message: Thought you might be interested in this 1996 Porsche 993.